Wang Xuanming's pioneering work in illustrating the 36 Stratagems in comic form breathes life into these Chinese military strategies perfected through a few thousand years of battlefield tactics, political intrigue, ingenuity and human folly. 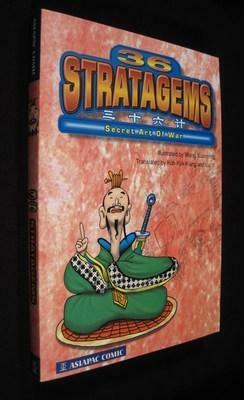 The six sections of six stratagems each presents the Chinese original w/pinyin at the heading of each cleverly illustrated chapter. The focus of this 300-year old text is on the use of deception, subterfuge or hidden tactics to achieve military objectives. Examples of the use of these stratagems are marvellously explored through characters who exhibit ingenuity, bravery, and even calculated brutality in warfare.